The Z10 is BlackBerry’s all-touch device featuring a 4.2-inch display with a 1280×768 resolution, equaling a pixel density of 356ppi. The phone carries a 1.5GHz dual-core CPU with 2GB of RAM, an 8MP camera, and 16GB or 32GB storage options. The Q10 has similar internal hardware, but features a full QWERTY keyboard and 3.1-inch display at 330ppi. For BB10′s flagship handsets, the hardware seems a little light when compared to the latest Android devices. But BlackBerry is hoping to succeed not on hardware alone, but also on through their brand new software platform, which reinvents the BlackBerry ecosystem for the touchscreen era. A new emphasis has been placed on multi-tasking via “BlackBerry Flow,” a system not unlike Android 4.x’s multi-tasking application launcher, and integration with social networks and other communications platforms looks to create a more robust experience while recapturing BlackBerry’s position as the leader in mobile messaging. Apps also look to play a bigger role than ever in the BlackBerry experience. 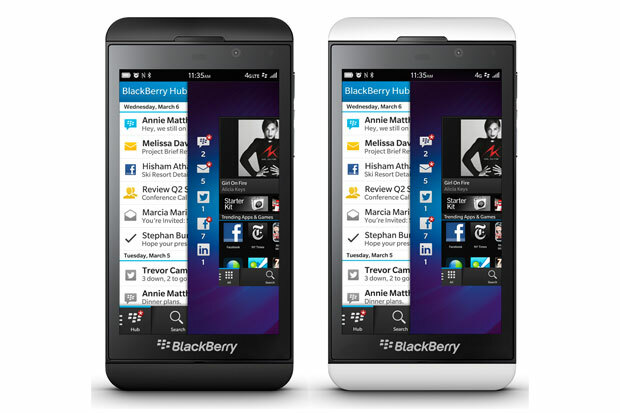 It’s a bold move forward for BlackBerry, but at first glance we still wonder if they have done enough. The new OS looks slick and contains some intriguing functionality, but nothing that transcends what we have seen from other mobile platforms. Same goes for the hardware. In short, this could be BB’s last hurrah. Android certainly shouldn’t feel threatened.